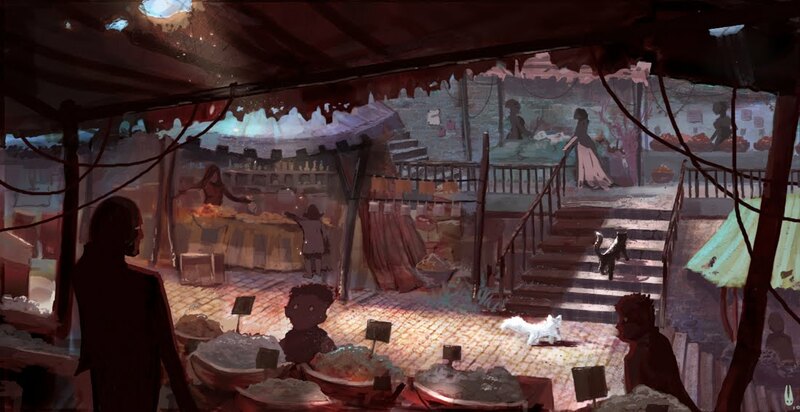 Allo again - here's the environment pic I was talking about :) A nice happy, quiet market...with 2 cats having a little roam around. :) Why is the white one following the black...? Will do a more bleak one next, this is almost too 'cheerful', hehe. heeya, this look sooo nice. Been following both Castle Blogs for a while. This scene is really captivating. So many wonderful works , keep it up. Thankyou also Sabin - your work is fantastic!